Abstract Submission has been extended to 10 February, 2019.
" 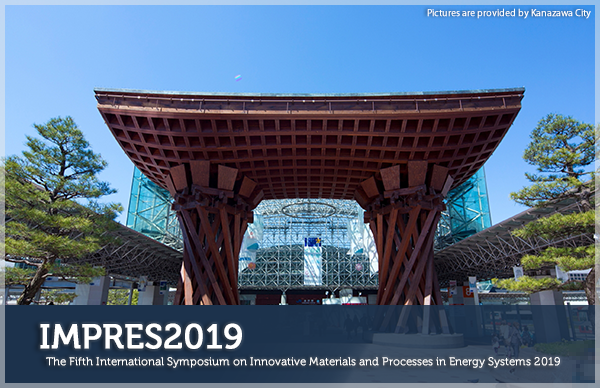 IMPRES2019 First ANNOUNCEMENT " is updated.
" 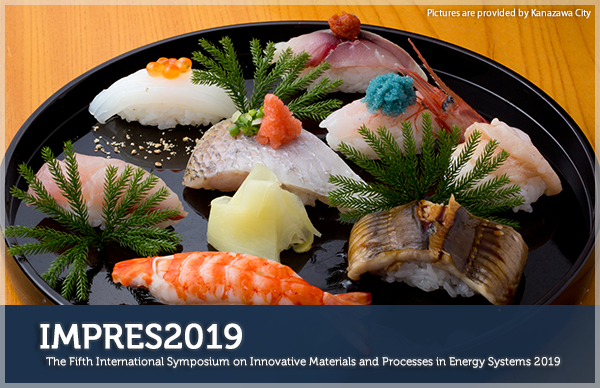 IMPRES2019 First ANNOUNCEMENT " is available. 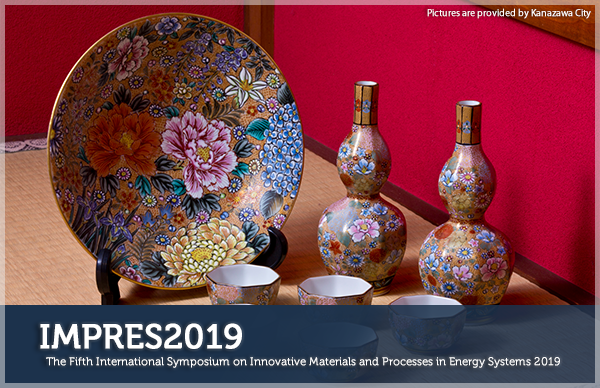 This international symposium welcomes participants of professionals dedicated to theories, experiments, and simulations, on the development of functional materials for fuel cells, heat pumps, heat storage, sorption systems and their applied aspects. Attendees will include consulting engineers, design engineers, contractors, architects, manufacturers, researchers and academics. 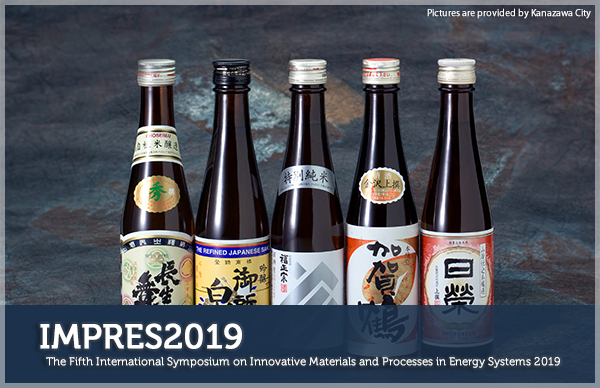 The IMPRES has been held in every three years and this is the fifth international conference after the successful completion of IMPRES2007 at Kyoto (Japan), IMPRES2010 in Singapore, IMPRES2013 in Fukuoka (Japan) and IMPRES2016 in Taormina (Italy). 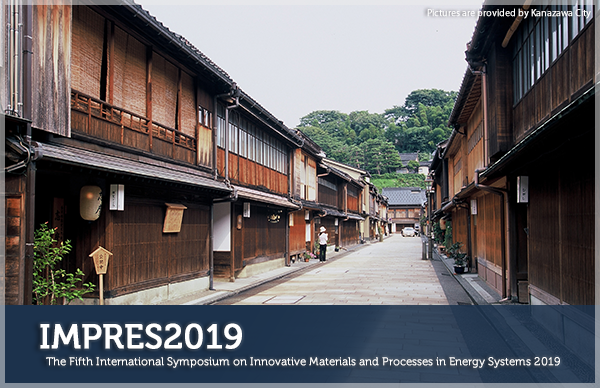 We hope to have stimulating and lively discussion in Kanazawa (Japan). 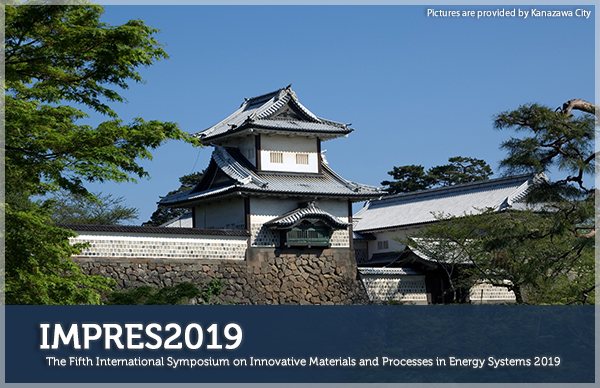 © The Fifth International Symposium on Innovative Materials and Processes in Energy Systems All Rights Reserved.